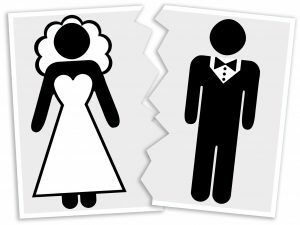 What Does Divorce Typically Do To Your Finances? The financial impact that your divorce will have is largely going to be dependent on the state that you are in. Many states require that all assets accumulated during the divorce are split 50/50. Other states have laws regarding alimony and spousal support. It’s smart to familiarize yourself with the laws in your state. If you and your partner signed a prenuptial agreement, the financial impact of your divorce may not be that severe. A strong prenup can ensure that your assets are protected. With that said, you shouldn’t necessarily assume that a prenuptial agreement will cover you. Some clauses in prenuptial agreements are not legally binding. Go over your prenup with your lawyer so that you can determine what will hold up in court. You’ll spend less on your divorce if you and your partner part on good terms. Couples that settle their divorce through mediation tend to leave their divorce in good financial standing. See if this might be an option for you. When you’re going through a divorce, you can’t just concentrate on your feelings. You also need to consider practical things. If you understand what a divorce will do to your finances, you can make sure that you have the money you need in the future. Do You Know How Businesses Transfer To Children?